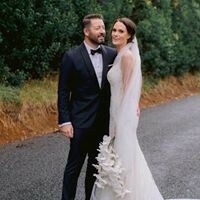 I am selling my gorgeous wedding dress which was custom designed and made by the beautiful Anita at Vinka Design. 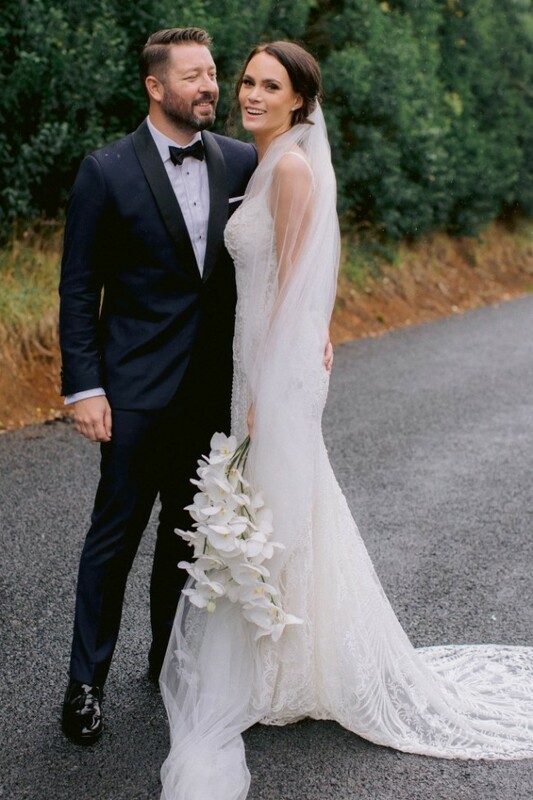 This unique wedding gown is made of intricately beaded lace and is appliqued onto semi sheer stretch base so it’s extremely comfortable, the lace was imported from Italy and is one of a kind in New Zealand. This gown sculptures the body to perfection and the neckline brings it home with a shaped V front and very low back. Dress has a built in bra (I am normally a 32C) due to the back of the dress being so low, but the cups can very easily be removed and replaced for another size if necessary. The dress has an invisible zip on the lower back. I am 5”9 in height and wore 10 cm heels on our wedding day and in most of the photos.